The best way to find new things to read, watch and listen to is by recommendation from your friends, am I right? I love when someone suggests a movie they think I'd like, so I thought I'd start a new blog series to share the things I read, listened to, and watched each month, and a brief recap of what I thought about them! So let's jump right into January's review, shall we? If you read my 2019 goals post, you might remember that I set a goal to read 12 books in 2019. That means I should be averaging a book a month, but I must confess I didn't finish a book in January, so I am already behind! But not to fret, there's still time, and I did at least read a bit of Lies Women Believe by Nancy DeMoss Wolgemuth. My church gave this as a gift at a women's conference that we had back in October, so I'm excited to keep reading and learning areas in my life in which I need to improve! I used to be obsessed with listening to podcasts, but I had really gotten away from it in the past year or two. I decided to give Up and Vanished Season 2 a listen, and while it's definitely not clean and not as good as the first season, it's still interesting and produced really well. I did just recently find out that there is a new season of Serial, so I can't wait to give that a listen! I watched The Guernsey Literary and Potato Peel Pie Society movie on Netflix, and despite the funky name, it's a really cute movie. It's also quite clean, and I always enjoy a good chick flick! I'm wayyy late to this train, but I started watching Making a Murderer on Netflix. While I haven't gotten very far, I've heard this is a really fascinating show, so I look forward to watching the rest! My husband and I have continued watching The Good Doctor this month, and I really enjoy that show. If you haven't yet seen it, I'd definitely give it a watch! Lastly, I'm a huge YouTube fan, and I have been for years. I mainly watch beauty and lifestyle videos, and lately I've been obsessed with Greer Brewer's videos. 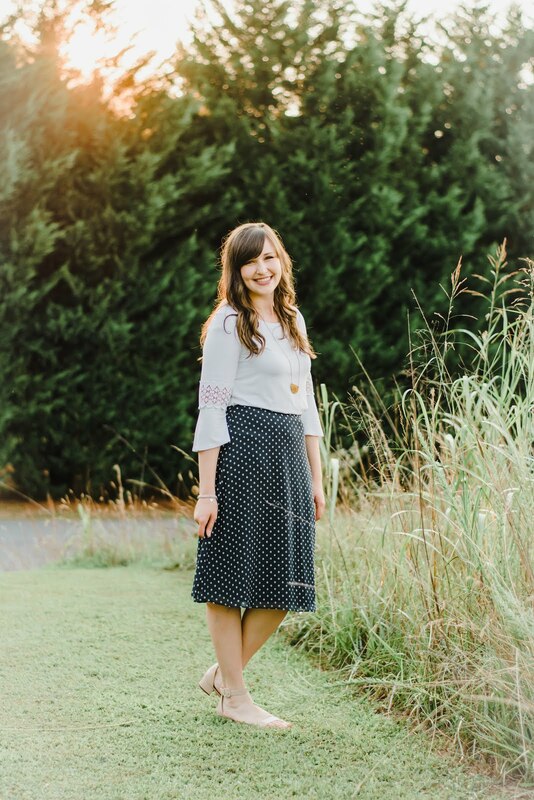 I love to watch her thrift haul and thrift with me videos, and if those are topics that interest you, I'd definitely check out her channel! 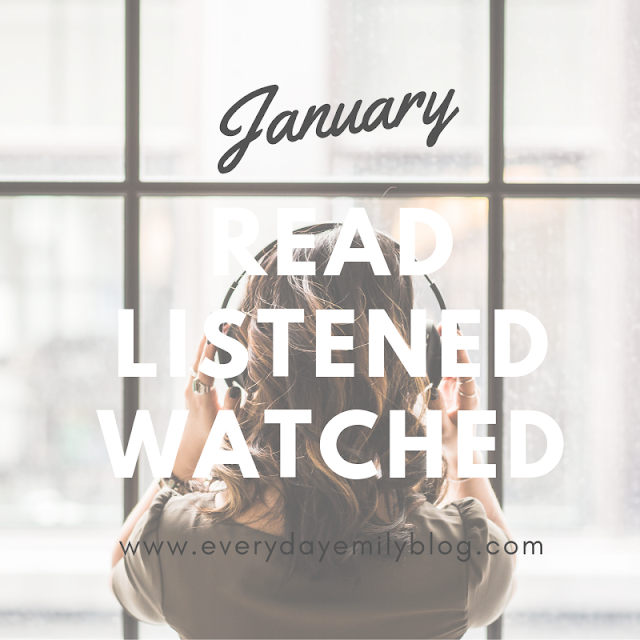 I hope you enjoyed this different type of post today, and be sure to check back at the end of each month for more of what I read, watched, and listened to each month!